These little paper bags have so many potential uses. They are perfect for holding cookies, candy, popcorn, toys, small treats, invitations, crafts, product packaging...the list could go on and on. If you are looking for the perfect favor bag for your wedding, baby shower, bridal shower, birthday party, anniversary or other festive occasion you have found the perfect ones right here. Paper Bags are 5" x 7"
If you prefer to purchase a set with a variety of patterns you can find them by searching within the Eve's Party Market shop. If you can't find what you are looking for please just ask and we are happy to help. 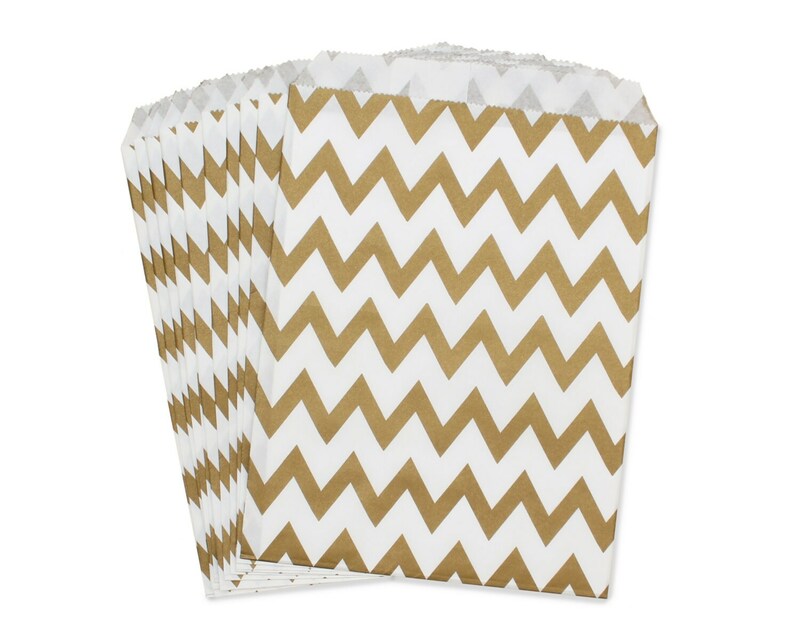 We carry over 25 different 5x7 party favor bags in a variety of patterns and colors. You are sure to find the perfect little paper bag at Eve's Party Market. Order was very Fast and Accurate!